There is a lot of talk about how to be environmentally sustainable in construction. There are technological ﬁxes and devices. However more energy is used living in the building, than was ever used to create it. It turns out that choosing solar hot water, low energy light ﬁttings, and running air conditioning from PV cells reduces the need for extra power stations. The house should be zoned to suit the orientation. This is where beautiful, liveable places start. 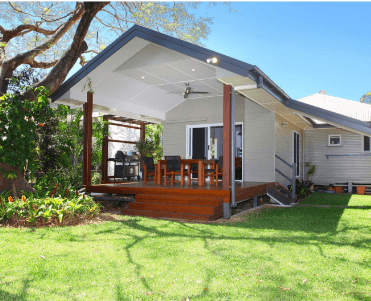 In Brisbane our pattern of climate suits a home like this.